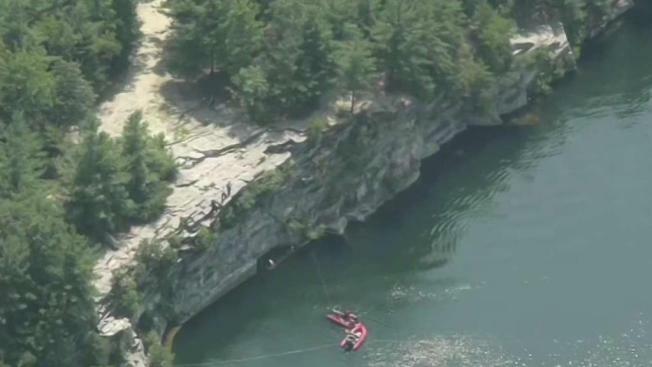 A 16-year-old boy died wile swimming in a quarry in Westford, Massachusetts. The body of a 16-year-old boy was pulled from the water in a Westford, Massachusetts quarry Tuesday afternoon. Westford police responded to Merrill's Quarry at about 11:45 a.m. after the teen had gone underwater and did not resurface, according to the Middlesex District Attorney's office. Authorities said the teen had snuck onto the private property to go swimming with three friends. He was later identified as William Lopez, of Lawrence, according to Lawrence Police Chief Roy Vasque. 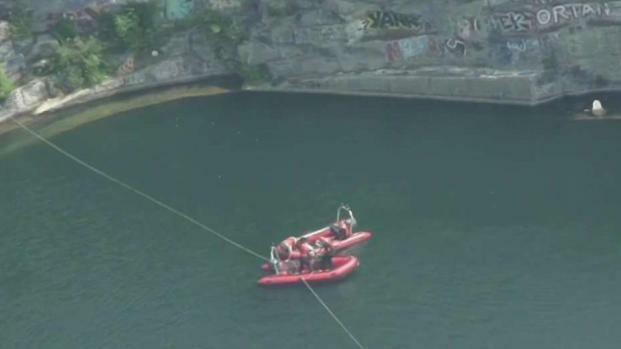 Investigators believe the teen jumped from one of the highest ledges of the quarry, which is about 100 feet high, and when he hit the water he began to struggle. A 17-year-old boy drowned Tuesday after swimming at a quarry that is off limits to the public in Westford, Massachusetts. "We try to tell them it's dangerous, try to enforce the parking around the quarry. We go in and we have manpower but that's limited," said Westford Deputy Police Chief Victor Neal. The group of teens was trespassing on the private property at the time of the apparent drowning, according to authorities. Lopez's friends attempted to rescue him before notifying police. When authorities arrived, a responding police officer also attempted to locate him but was unsuccessful. Police said Lopez had been underwater for 90 minutes before he was eventually located by dive crews. Authorities said the quarry was featured in the 2013 Adam Sandler movie "Grown Ups 2," and they've had trouble keeping people away from it ever since. "So we've had from people getting hurt jumping in the water, getting paralyzed, and then we have thefts. You know people go up there, you know, to have a good time, and then you know, there are other people who go up there who steal their belongings when they go in the water, cars get broken into in the area," said Dep. Police Chief Victor Neal. Police said they have been working with the owner of the land to try and keep people out. The gate is locked and private property signs are posted on trees. "You see the place loaded on the weekends when it's really, really hot I'd say 30, 40 people up there," said Westford resident Douglas Keele. The Office of the Chief Medical Examiner will determine the teen's exact cause of death.